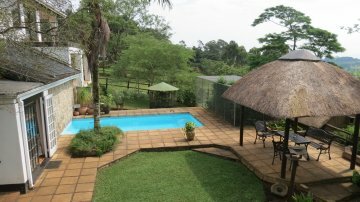 Situated close to the Valley of 1000 Hills, Kearsney College, Durban Shongweni Club & on the Comrades route, Shenindor offers B&B & Self Catering Accommodation in a peaceful country environment with magnificent views across the Assagay Valley. Close to Hillcrest with easy access to Durban or Pietermaritzburg. Shenindor is a Pet friendly establishment. 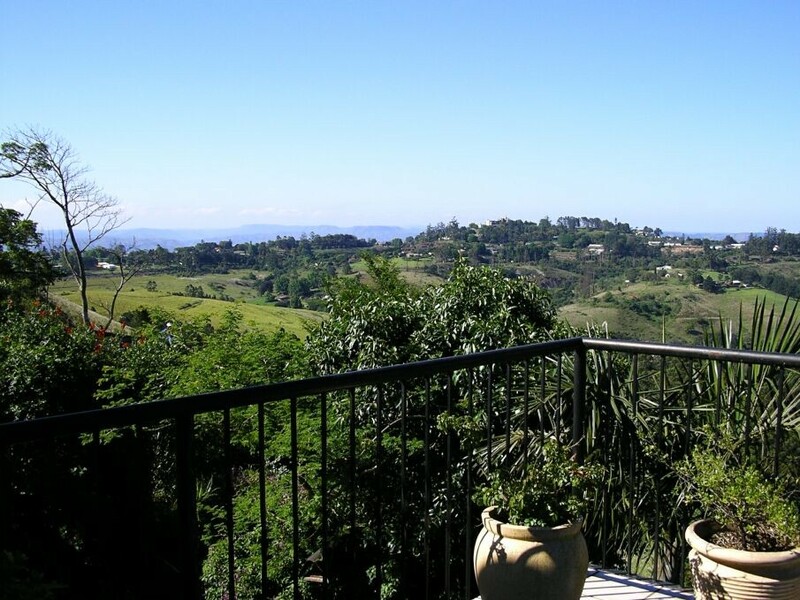 Set on the crest of a hill, just outside Hillcrest, Shenindor is a lovely country B&B on 4 acres, with a breathtaking view across the Assagay Valley. 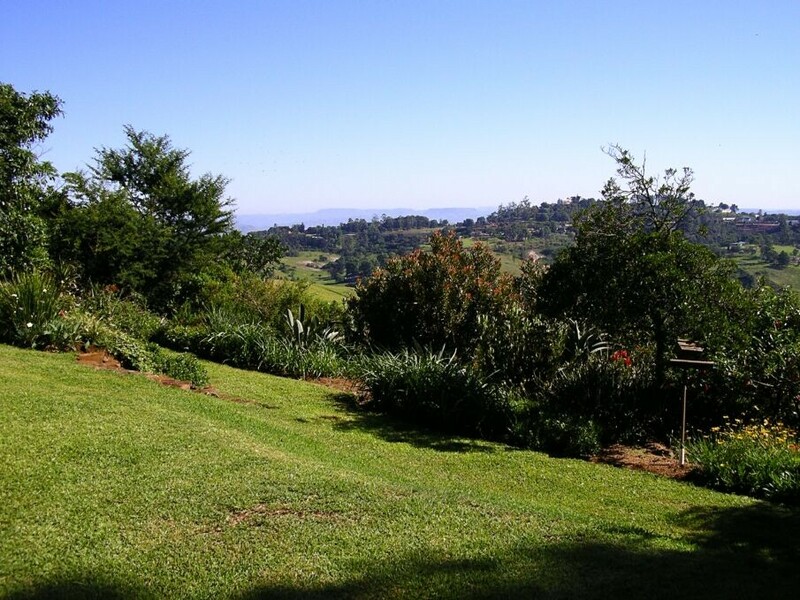 A beautiful indigenous garden, with its abundance of bird life surrounds the home, creating a peaceful country atmosphere. 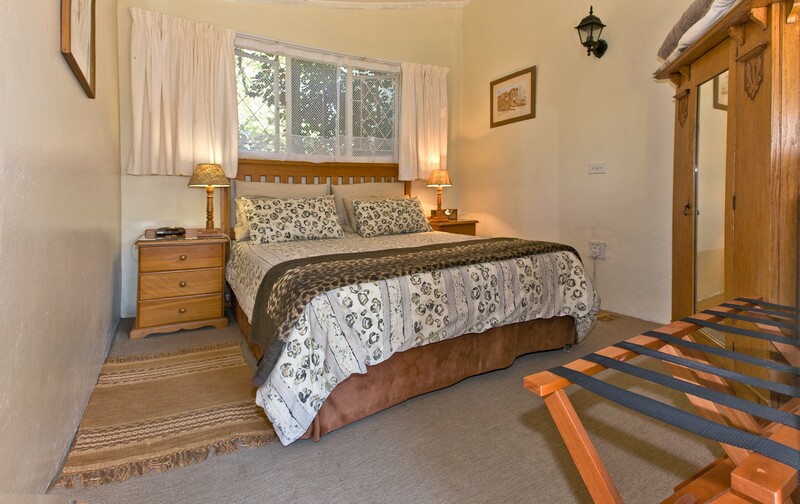 Bed & Breakfast and Self Catering accommodation is available There is plenty of safe parking plus two carports. 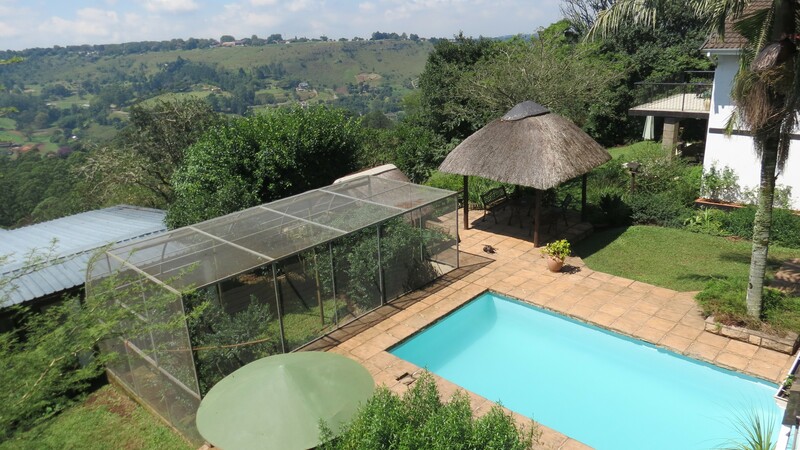 Our heated pool can be enjoyment by all our guests. We also offer free Wi-Fi and Laundry facilities. A DSTV (B&B package) is available in all rooms. No country home is complete without the animals; expect a warm welcome & lots of love from the resident Labradors! 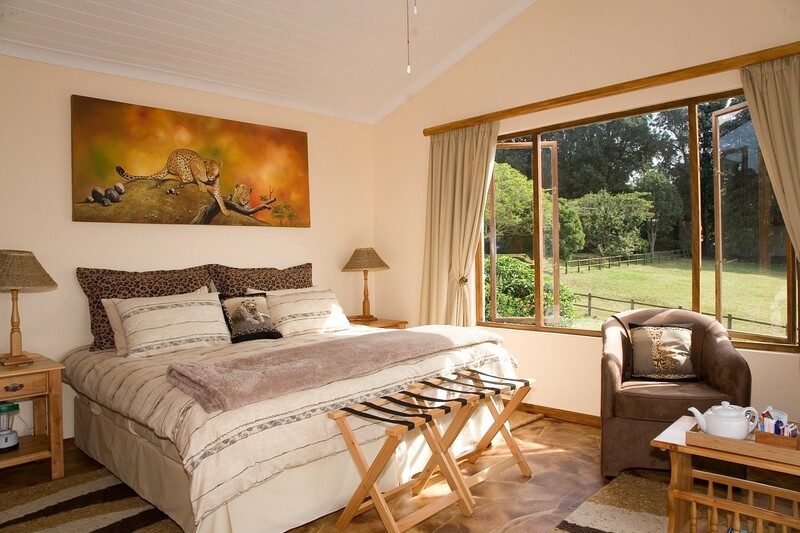 DELUXE ROOM; This spacious double bedroom with queen bed, dressing table, full length mirror & plently of cupboard space, opens onto a large private balcony offering a panoramic view across the valley. The is a seating area with two comfortable chairs & coffee table, tea/coffee facilities, a TV & bar fridge.The en-suite bathroom has a walk in shower, bath & large vanity. FAMILY ROOM; There are two separate bedrooms, (a single & a double), plus bathroom with bath and overhead shower and a separate toilet. This room is ideal for a couple with a child/teenager. 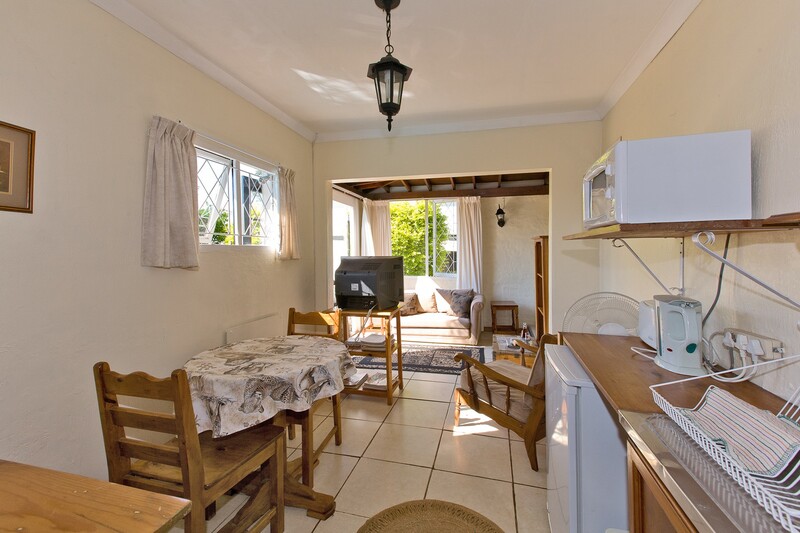 Both rooms have TV's, cupboard space, bedside tables & there is a bar fridge & tea/coffee facilities. 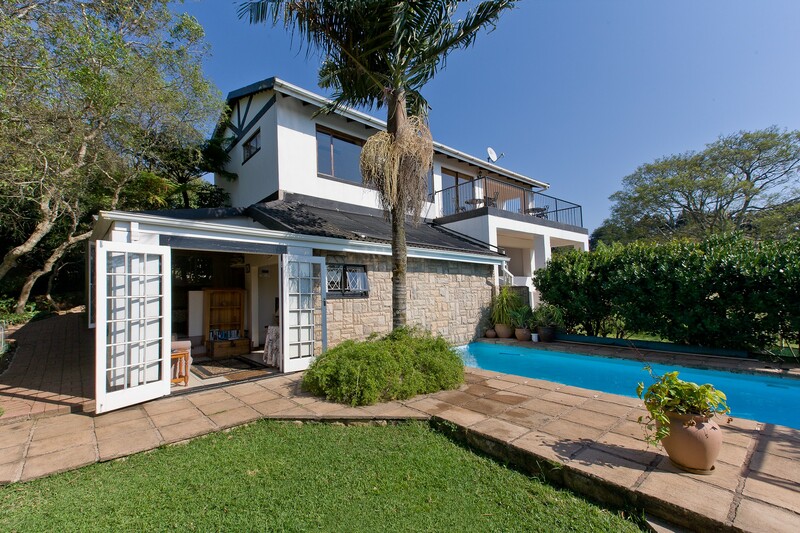 SELF CATERING GARDEN COTTAGE; Opening onto the garden, the Cottage has an open plan lounge/dining/kitchenette area, one bedroom with queen bed and bathroom with bath & overhead shower. There is a sleeper couch in the lounge, plus TV. 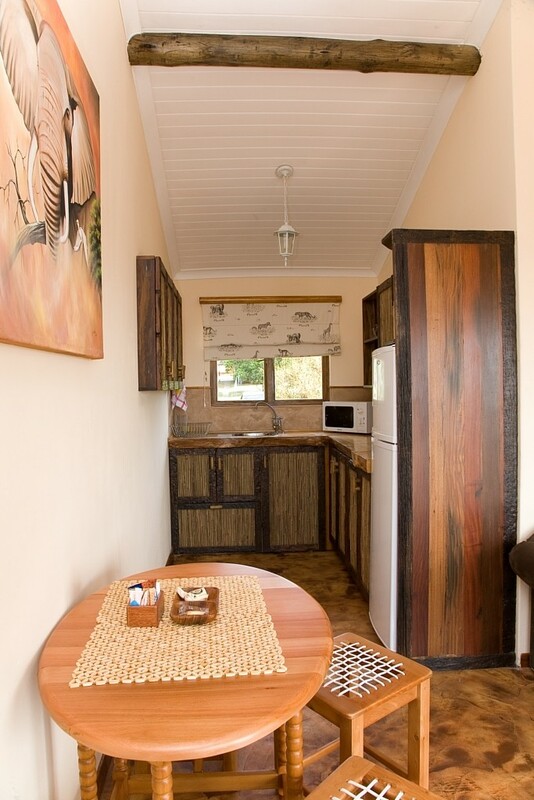 The Kitchenette is equipped for Self Catering & Braai facilities are available. 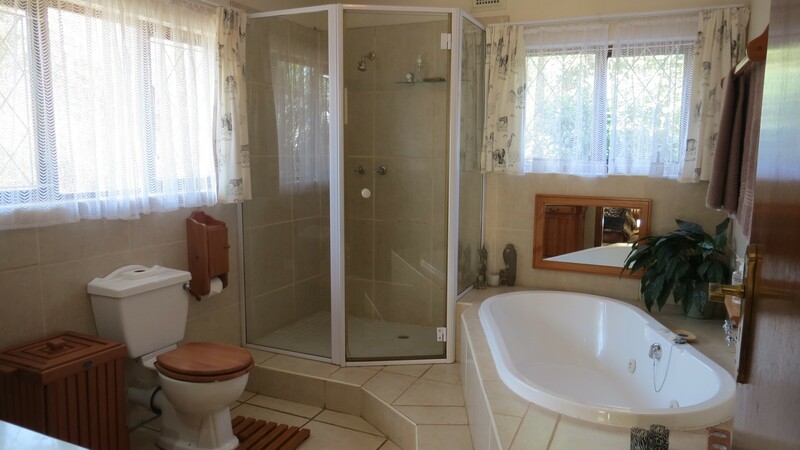 SELF CATERING SUITE: This spacious unit has two separate bedrooms, (King or Single beds) both with en-suite bathrooms with showers. 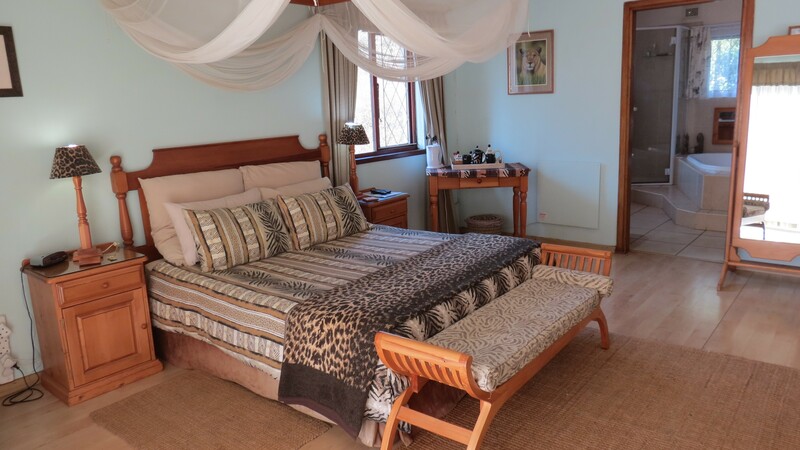 The bedrooms have bedside tables,dressing tables, ample cupboard space & there is a seating area in the first bedroom with 2 chairs & a coffee table. The lounge has a sleeper couch, chairs, coffee table, breakfast table & leads into the kitchenette which is equipped for self catering. 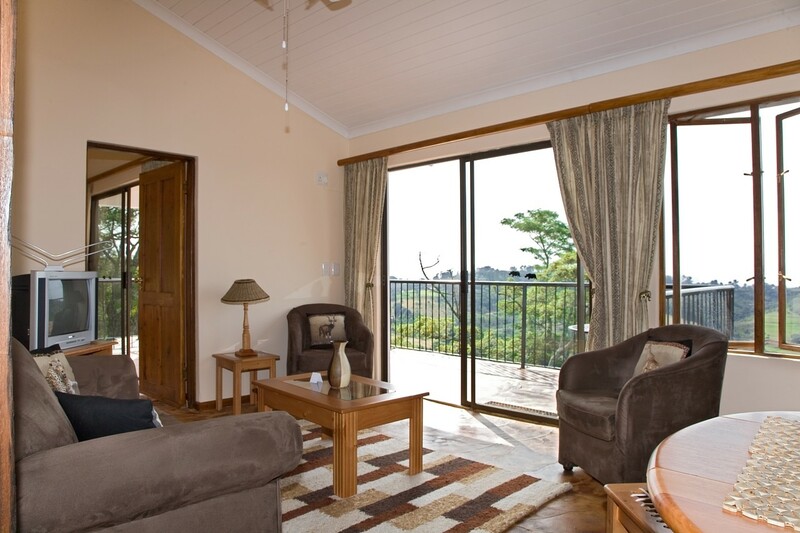 Sliding doors from the lounge & first bedroom lead onto a large balcony with a stunning view across the valley. There are 2 Tv's one in the lounge & another in the second bedroom. 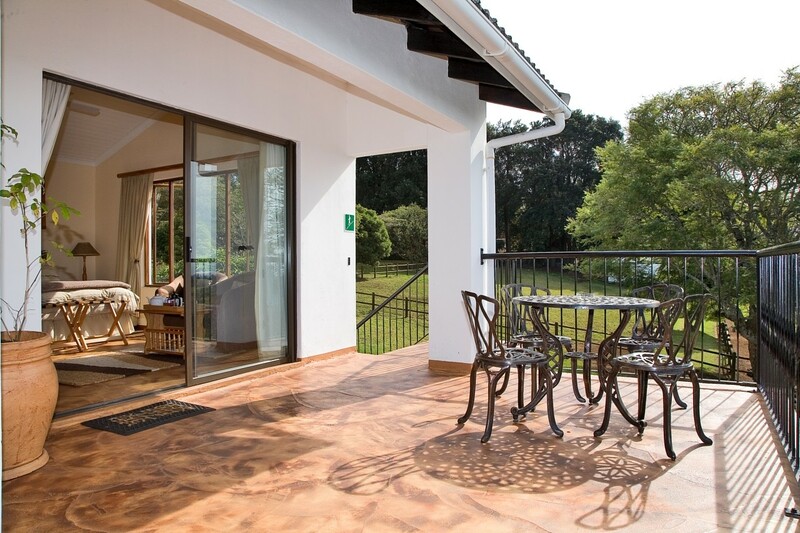 A Weber Braai is available on the balcony plus outdoor furniture. 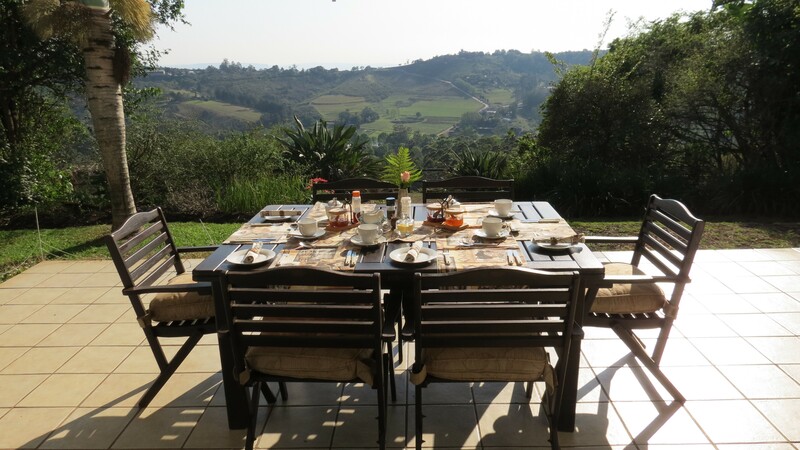 Breakfasts are served on the patio overlooking the valley, weather permitting. King Shaka Airport is approximately 45klm from Shenindor.